On March 19, 2019, Deputies with the Montgomery County Sheriff's office were dispatched to 18092 FM 1314, Queens Fuel Mart in Porter, Texas in reference to a burglary. Employees of the business were able to provide Deputies with security video from the night before that captured parts of the crime. In the Video, two unknown males were seen arriving in a red Ford Ranger. The suspects then approached the front door, and forced entry into the gas station. Both suspects entered the business, and stole a large amount of cigarettes, beer, and the cash drawer from the register. 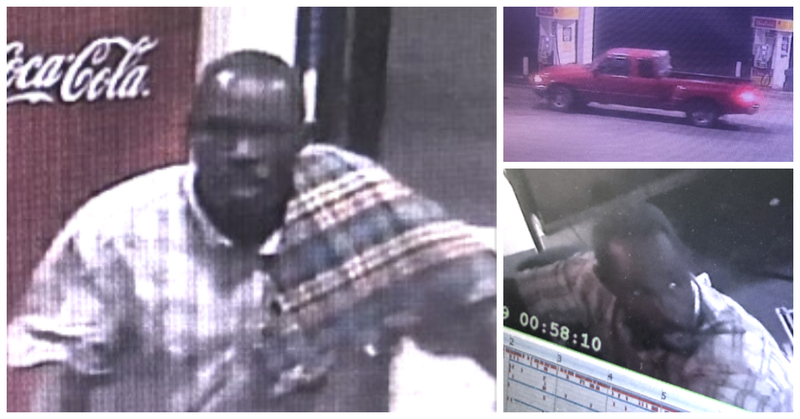 A nearly identical Burglary was committed on March 18, 2019 at a convenience store on FM1314 not far the Queens Fuel Mart. Video from that incident also showed a red Ford Ranger, and two unknown males who forced entry to the business, and stole several items. If anyone has information on the identity of the male or vehicle pictured below, please contact the Montgomery County Sheriff’s Office at 936-760-5800 or Crime Stoppers at 1-800-392-STOP (7867), and refer to case 19A089516 or 19A090668.